In the case of In Re Maslak [10/19/12], the Court upheld the underlying principles of 1) the law applies to all, and 2) bankruptcy is intended to give the debtor a new economic start. The background to the case is this: In October 2010 CitiMortgage filed a foreclosure against the Maslaks in Johnson County District Court; In January 2011 Maslaks filed for Chapter 13 bankruiptcy protection; In April 2011 CitiMortgage filed an action with the bankrutpcy court for permission to proceed with the foreclosure; The Maslaks Chapter 13 Plan included a provision for CitiMortgage to proceed with foreclosure but only in rem (only against the real property - this is important and I will return to this), and the court approved this; In April 2012 CitiMortgage proceeds with the foreclosure in state court requesting both an in rem judgment, and an in personam (against the person) judgment. With that being said, here is the rest of the story. The Maslaks, of course, returned to the federal court, and that court told the state court, CitiMortgage had no right to get a personal judgment against the debtors who were protected by federal law from just what the mortgage company was trying to do. What is the importance of not being able to get a personal judgment against someone? A personal judgment means you are personally liable for the amount the court grants the creditor. The creditor then can garnish your wages, attach a bank account, and seize personal property, all in order to get money to satisfy the judgment. In the Maslak case, CitiMortgage was trying to get the house back (which the debtors had actually agreed they could do), and also to be able to go after the debtors for the balance of the money owed after the house was sold. One of the fundamental goals of bankruptcy law is to allow the debtors to get back on their financial feet, and to start over again. A massive judgment against the Maslaks would have been contrary to that principle, and law keeps that very thing from happening. You might well ask why the Maslaks would have included a provision in their Chapter 13 plan allowing the foreclosure to proceed. The answer is that they were probably too far behind on the mortgage debt to get caught up. [Chapter 13 is a very good way to save a home when behind because the past due balance can be made part of the monthly payout and spread out over 36 to 60 months along with the required monthly mortgage payment.] 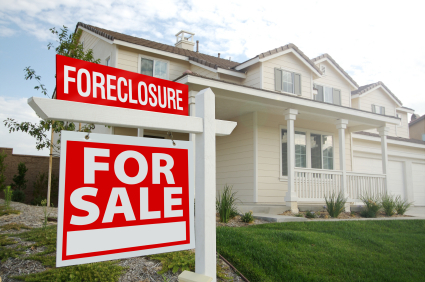 The Maslaks also likely anticipated that there would a delay in the mortgage company reactivating the foreclosure, and they were right, as well as the fact that even after a sheriff sale in a Kansas foreclosure, there is what is called a 'redemption period' of 90 days in which the debtors can remain in the home. Bottom line - Mortgage company not allowed to get its way, and debtors in financial trouble protected by bankrutpcy law.